Ulcerative colitis is a debilitating condition that can lead to frequent intestinal troubles including diarrhea, bloating, pain, and gas. While dietary changes cannot completely eliminate your troubles, they can help you more effectively manage its symptoms. 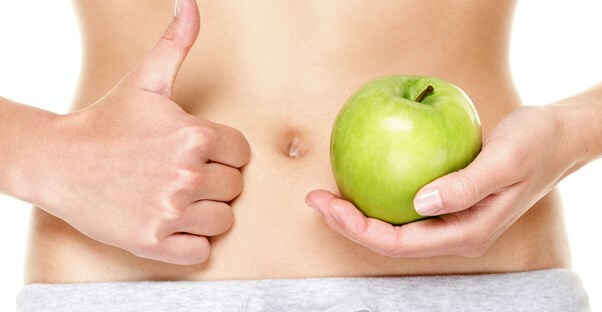 Here are five tips for designing the perfect ulcerative colitis diet. There are certain products that you may not be able to eat. Keeping a food journal may be able to help you find foods that trigger your symptoms more than others do. However, there are some common items that give many ulcerative colitis sufferers grief—these include caffeine, raw vegetables, spicy foods, and foods high in fiber. Because raw fruits and vegetables may cause digestive problems due to their high fiber content, opting for juices is a good way to still get the nutrients these foods provide without worrying about all the fiber. However, watch out for juices with added refined sugar, as too much can make your digestive problems worse as well. Frequent diarrhea is a common symptom of ulcerative colitis, and this can leave you severely malnourished if you’re not careful. To avoid a scenario like this, be sure to pay close attention to the nutritional content of your meals—including both macronutrients (protein, carbs, and fats) and micronutrients (vitamins and trace minerals). Instead of aiming for three large meals a day, try to eat five or six smaller ones throughout the day. This will keep your bowels from having to work overtime in order to digest large quantities of food all at once. While managing your diet can have a tremendous impact on your ulcerative colitis symptoms, don’t expect to find an overnight change. Getting your diet under control will probably take a significant amount of time and will require a lot of trial-and-error tweaking. However, if you stick with it, you’ll eventually find something that works great for you and your unique medical situation.